Kolor, world reference model for image stitching solutions and virtual tour creation, is a small enterprise located in the Savoie region of France. Founded in October, 2004, by Alexandre Jenny and Lionel Laissus, the Kolor company was the first to perceive the potential of SIFT technology for the identification of interest points in an image. The following year, this enabled Kolor to obtain its user license for this technology, issued by the University of British Columbia in Vancouver. Designated by the Savoie Chamber of Commerce and Industry as a Young Innovating Enterprise, and recipient of several prizes including the SFR Award for Photographic Innovation. 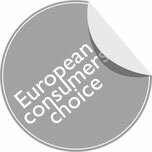 Its products are sold worldwide via its website (www.kolor.com) and reselling network. Kolor, still wholly owned by its founders, has no debts and is proud to announce an excellent profitability rating that supports it continued growth activity and keeps it on the technological cutting edge. Kolor is partnered with Intel and a member of the Edit cluster and development hubs of Ora and Imaginove. Behind Autopano Pro's simplicity and ease of use lurks a stitching engine based on advanced algorithms. The image stitching technology (SIFT) included in Autopano Pro was developed as part of a research project at the University of British Columbia in Vancouver (Canada). It has been mathematically proven to be the best technology in the world at recognizing similarities between images. 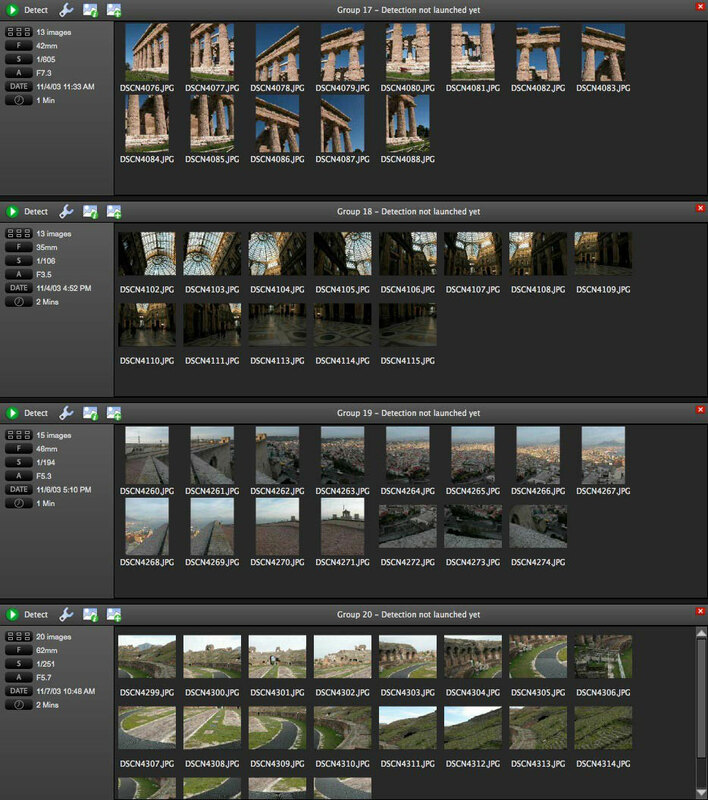 For difficult image stitchings, Autopano Pro previously offered a control points editor to force the software to add links in user-defined areas. Version 2.5 goes further by allowing point-by-point manual addition of links between adjacent images. There is no reason to miss a stitching, however complex. Autopano is the only image stitching software to perfectly resolve the color and exposure equation. Joins between adjacent images are flawless, both in color balance and in exposure. Make your shots as you see fit, even in automatic mode: the software will take care to match your images. 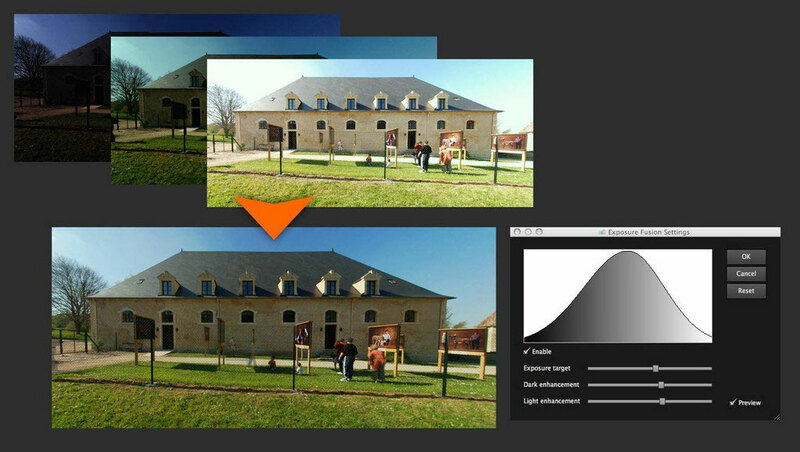 Even better: you can choose a reference image that will give its color temperature the others, and even adjust the color and exposure correction image by image. Exposure fusion allows the blending of bracketed images, keeping the best colors for each exposure. This increases the color dynamics and creates a balanced panorama, very close to reality. Example: If you photograph a room from inside, the window giving to the outside may appear completely white, completely overexposed, or conversely, the interior may be dark but the exterior will be visible. Exposure fusion of multiple photos allows you to keep both interior and exterior colors, to get a balanced and natural image, closer to what you see with the naked eye. 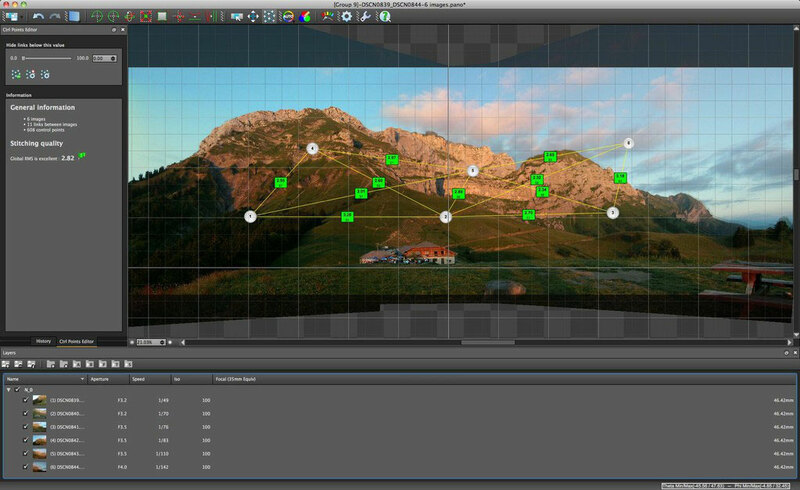 Autopano Pro integrates several tools to help you adjust the alignment of your panorama. The most talked about tool is probably the vertical lines tool: draw a line on what should be vertical (monument, tree, pillar...) and realignment is automatic. 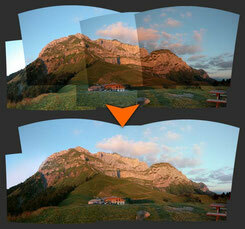 You can also manipulate the panorama with your mouse to visually adjust the horizon or effect a rotation. The projection is the manner in which the images of your panorama are stitched together; whether this is on a plane, a sphere or cylinder ... it all depends on the kind of panorama and its contents. If you want to make a 360° panorama, you can choose the cylindrical or spherical projection. If you have a panorama that includes architectural monuments, you might prefer to retain the rectilinear projection, which will preserve their straight lines. Autopano Pro has 4 types of projection and can automatically select the most suitable projection for your panorama. Autopano Pro can crop your panoramas automatically, preserving the maximum image surface. 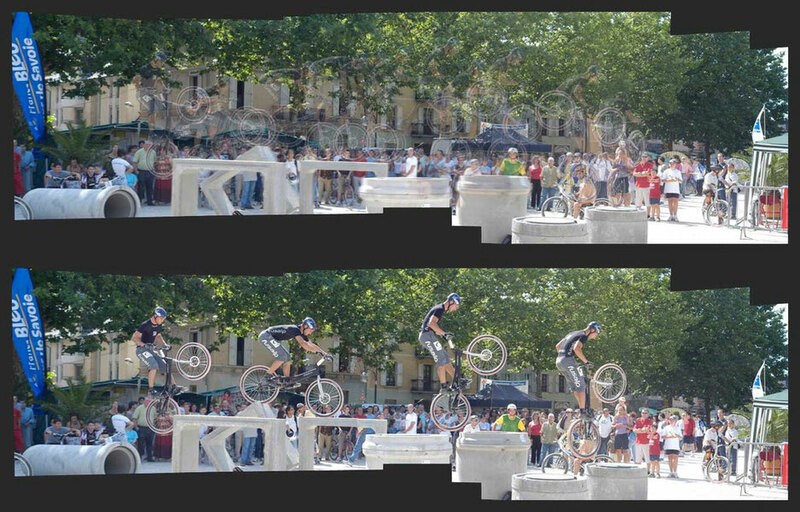 You can also manually reframe your panoramas, whether free hand or by applying a ratio (e.g. 3:1). A button also allows you to retain the entire sphere (360° x 180°). During shooting, it often happens that people or objects move. In this case, a typical blend of images creates ghosting (transparent artifacts) in the overlap zone. Autopano Pro 2.5 includes a new anti-ghost blender, applicable even on gigapixel images. A world first. 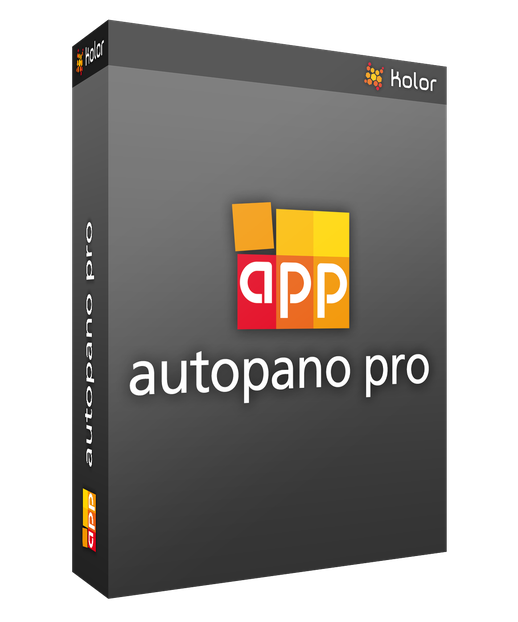 Autopano Pro can of course generate your panoramas in JPG or PNG, for example, but can also export to PSD, PSB or TIFF files, including layers. This creates a document containing both the stitched panorama and the individual images, so you can make any edits you want in Photoshop®. "Very simple to use. All you need to do is download the photos for your panorama and the software will « stitch » them together and give you a great finish." "The correction tools for the panoramic photos are really useful : watch your fairly average photos being transformed into near-perfection." "Of all the functions, the « ghost-remover » is the most amazing to me as it can manage the movement of people or objects while you are shooting. A stroke of genius"
"You gain so much time with the Photo Autopano 2.6 compared to what it would take you with other complex software such as Photoshop. This software is poweful, fast, precise, and user friendly for photographic amateurs."